Devil Tattoo, a photo by willlaren on Flickr. 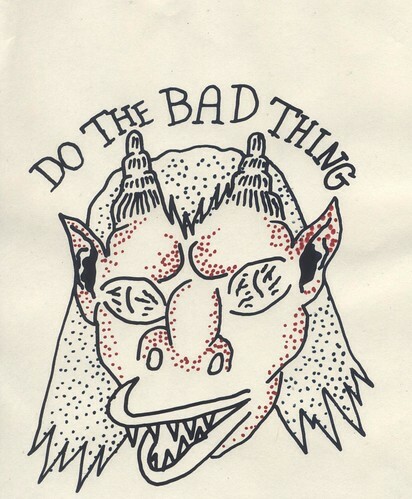 one of the pages from my upcoming tattoo design screen printed zine "Tat Squad" which is sort of an unofficial sequel to "gutter prints" which I put out a couple months ago. I'll (hopefully) be debuting it at SPX on saturday at the Atomic Books table but I'll put aside a couple copies to put on my bigcartel site on monday. I'll keep posting samples of the pages as I finish them tonight and tomorrow. Just added a ton of drawings to my online store!